Care for frogs and toads and their tadpoles and morphs are what this website is about. 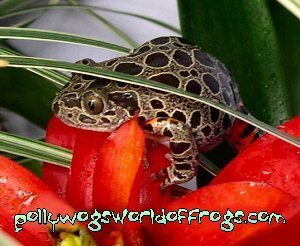 Learn how to care for frogs, feed frogs, what to feed frogs and toads, how to manage your own insects for them to eat, how to manage and filter water, create and maintain a vivarium or frog tank, choose plants for their frog homes, and much much more. 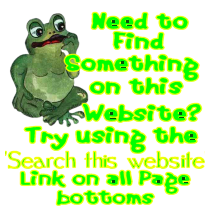 This website includes a site search on every page bottom, also an informational frog and toad glossary to help with amphibian terms, plus frog conservation and updated world news pertaining to frogs and toads. I hope you enjoy! Assuming you're a beginner, there are several fairly easy to care for species of frogs. If you want to start with aquatic species, try the dwarf pipids such as Hymenochirus or his much larger cousin, Xenopus. A semi-aquatic 'frog' (really a toad that looks, acts like a frog) would be any of several species of the Bombina family. These colorful, active little toads need a vivarium that has a stream or large 'pond' installed. They enjoy sitting in or near the shallow water. 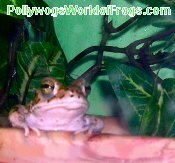 For a frog that enjoys a regular vivarium set-up, bullfrogs are easy but will require a lot of space. Even for a small one, at least a 20 gallon tank to start. If you have him a while, that size will need to change to a 75 gallon or larger. Bullfrogs grow pretty quickly. He also needs a large, deep pool so he can sit at it's edge or jump in if something frightens him. They also need a basking lamp. Another great thing about starting out with a bullfrog is that they are diurnal, or awake in the daytime when you'll be able to see more of him. A few other easy to care for beginners' frogs include White's treefrogs, Wood or Leopard frogs, and the Green treefrog. Please avoid those rare and special frogs. Wait until you have more experience before moving up to these more threatened varieties. There are several other easy to keep frogs listed in the Caresheets section. To insure you have chosen a healthy animal, take a good look at the frog. Is he active? Is he very thin? What condition is his skin in? Make sure he looks moist and sleek. His eyes should be open (or if nocturnal, have him awakened so you can view them) and he should move around quite a bit. Make sure he has 4 toes each on his front feet, and 5 each on the back. No tears on skin. Have the attendant feed him in front of you. This will not guarantee you that your frog won't get sick, but it will give you a fighting chance that he'll live long enough for you to learn more about him! 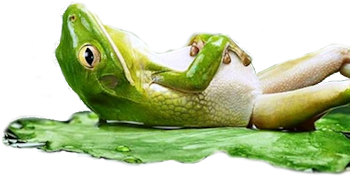 If you do end up with a sickly frog, see Frog Healthcare for more on this. Also, be sure to have a Quarantine tank ready for him at home if he's not your first frogpet and he's to end up in the same enclosure. Tne last thing to mention concerns the specie you have or will have. As a beginner, ask more questions at the petshop, even better; go to your local library and read up on frog you're thinking of...or go Online as now, to frog messageboards and chatrooms. they are filled with passionate people who already own and have husbandry skills on the keeping of these beautiful creatures. Here's a link to my favorite: Amphiboard. If you must have a frog, are on a tight budget, and need a set-up, I suggest you try your local newspapers, a Flea Market or look in some of the free-flyers that may be offered in your area. Your local city in Craigslist is also a great place to look. You will find glass aquariums and other supplies that others are now selling, and at a much better price than you would pay in a Petshop! In this fashion, you can get a much larger and more sophisticated set-up for only a bit more than you would have paid for the minuscule, life-choking '3-gallon Set-Up' offered at the Petshop! These tanks may need some altering, depending upon the species of frog you have. For those of you who run across aquatic tank deals (those with acrylic hood style tops and lamps) you will need to make a screen top to replace the hood in most cases. Read more about this on the Vivarium page. The tank will need a screen or some kind of top. This is one of the most important aspects of buying the tank. The top must fit very tightly! Frogs are athletic and crawling out of even the smallest gap can be accomplished by them. If that were to happen, you'd end up with the hair-covered frog we mentioned here early on. Make sure that the lighting device is covered in some way. (Acrylic works great) You need to protect the frog from the heat of fluorescent lights, etc. When you first bring home the tank, whether you bought it used or new from the Petshop, it must be cleaned and rinsed. Be it new, residues from production and dust have collected inside it, and if its' used, it may harbor a bacteria or virus left behind from the last use. A weak bleach solution, about 10 drops to a gallon, swirled around and used to scrub tank bottom and sides with a clean, unused non-abrasive sponge will do. Rinse the tank thoroughly in warm water, then add 3 tablespoons of table salt to a gallon of warm tap water. Mix until dissolved, pour into tank and scrub as before. Let dry and then rinse again. Now mix up a few gallons of dechlorinated water, rinse out well. Only now can you begin to furbish the tank. The frog will need a tank big enough for him to at least do a couple of hops in. Do not run out and buy one of those '3 gallon complete' setups for a frog! This is inviting a slow and inevitable death to your frog. The time you would have to spend to keep up a tank of this tiny size would be endless, and the constant attention you would have to pay to it would stress out the frog. Frogs are shy and secretive creatures. Your hands constantly in the tank cleaning, changing water dishes, re-arranging plants and removing uneaten food should be kept to a minimum. Lets talk plantings. For a list on plants not suitable for for your pet's new home, see Plants that can harm frogs. Finally, if you bought the frog in a petshop, buy a book on this variety to help you become more familiar. Key-wording his name can also produce results. Google.com has not only the regular search engine where you can type in words, but also an Image section, where you can type in your frog's name. 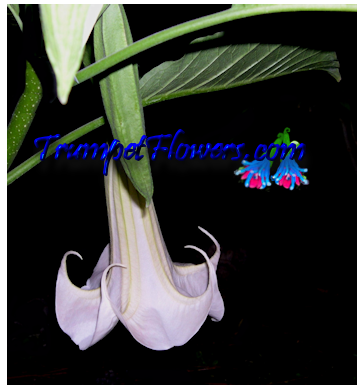 There you can try to find him by the picture, click the picture for larger image, and then view the webpage the image came from. However, for the most part; books are better than the Web, and they are my best suggestion. Most Frog Breeders will include a basic Caresheet on the frog you have purchased. Make sure to ask your Petshop or Frog breeder if they are going to be sending you a Caresheet. If not, make sure to do your homework on the frog species. Your pet needs security. Whether you are keeping a spring peeper or green treefrog that you found in the woods behind your house, or even giving an exotic you bought at the local petshop a 'go', he is going to have to have a pre-planned home ready for him. See the page on Vivariums for more on this issue. Depending upon the species you have, he will need a vivarium or an aquarium. If you caught the frog yourself, a good rule of thumb is is to remember the area in which you just removed him. Was it a forest floor underneath some damp leaves? Did you turn over a stone and find him hunkered down, eyes closed and arms tucked tight? Try to duplicate this scenario for him as much as possible. Carefully gather a bit of the leaf debris and be sure not to disturb the other small animals living there. Bring this to his terrarium. Again, C.B. 's are still going to be your best bet. Buying from a reputable Breeder can fairly insure your frog sticks around long enough for you two to get acquainted. Moving along, lets discuss mixing your pets with 'the others'. I receive mail weekly discussing this, so I will clear it up right now. Do not mix your frogs with reptiles! Nearly every reptile I can think of that is suitable for Vivarium set-up is also a predator...and frogs are on their list of 'things to eat'. Even if your frog is ten times the size of the red-eared turtle you have, within a few days of putting the two in the same enclosure, you are sure to find nips and bites taken out of your frog. And after their skin is broken, you are inviting in a host of other degrading problems for the frog. Fungus and parasites are just a couple I will name. Secondly, the mixing of frog, toad, newt and salamanders in any combination can also turn into a game of 'Russian Roulette'. There are exceptions to this rule. However, until you have gathered more knowledge on the individual frog you are now keeping, and the other amphibians you are thinking about getting, do not attempt this either. Amphibians carry different toxins in their skins, and some can adversely affect other animals and amphibians. An example of this is the 'fire-bellied toad', or 'Bombina spp.' These lovely little pool jewels can poison other species kept with them. Rule here is, "Until you know, just don't do it!". Some people like to add fish, snails and other aquatic creatures to their frog's pools or pipid tanks. Click Here to read more on this subject. The keeping of separate species vivariums has always been high on my (and other experienced Froggers') list. It is a bit more expensive, but in the long run its' also much more rewarding. 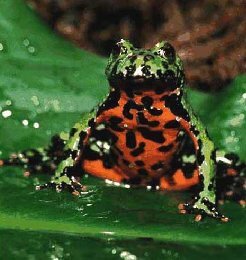 You can concentrate on setting up the tank or vivarium with the plants indigenous to the frogs' own home and the frogs themselves are much happier. (Mine seem to be) What you both end up with is much more knowledge and possibly tadpoles, and the frogs will be healthier and more at ease, therefore more willing to "come out of hiding" and be seen in their environment. And if you haven't already read through the Mixing Species section, now would be a good time to do it. Feeding frogs can be a challenge. Most of them are only attracted to living food, so finding the source for a constant flow of live foods can become cumbersome. The solution to this problem would be to grow your own live food sources. 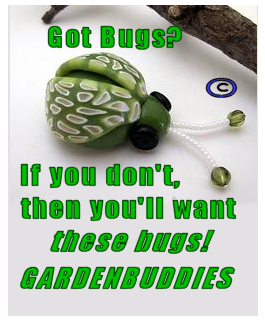 For more information on this, please visit the pages Feeding and Raising Insects . Crickets and mealworms tend to end up becoming a staple for most frogs, as petshops carry these most commonly. However, the amount of chitin found in these insects can make your frog have digestive problems. Varying the diet is therefore a must. Recently the Pet-care community has begun to offer what they call a "vibrating food dish". It is made of molded plastic and resembles a shallow water dish made to look like stones. When plugged in, it begins to vibrate the dead feeder insects you have placed on the flat tray in center. If you have a large enough community of frogs and toads to support the use of this item, go for it. Those of us that have 30 to 40 (or more) frogs will also have the likes of many tens, if not hundreds; of live crickets and other bugs on hand. If you can catch any of them at a stage of direct death and its' feeding time for a vivarium, use them by all means. Otherwise, I strongly advocate the use of live food only. As far as amounts to feed are concerned, feeding your pets live arthropods of the proper size every other day will keep them thriving and healthy. As an example, a 3" southern toad will eat approximately 4 to 7 medium to large crickets every other day and remain strong and vibrant. I hope we can get this understood right from the get-go... Frogs absolutely HATE to be touched. PERIOD. NO EXCEPTIONS. Those among you that may have thought..
"They're sooo cute...I just want to cuddle it, love it... touch it..."
I have to agree. That's one of the reasons I keep frogs. They are one of the most lovely of animals in all of the animal kingdoms...but through years of keeping them, trying to breed them, replicate their environment..I've truly learned that they don't enjoy our idea of an expression of love... i.e. : Don't touch them! Scientifically, their heart rates rise, their breathing becomes more intense, and they are stressed when handled by us. Frogs should never be considered a "pet" in the same sense as one would a cat or dog. Frogs are very secretive, shy and wild; untamed by man. To "own" a frog is only to become the one in charge of making sure he's fed, has water and the proper housing arrangement, and is looked after in a healthy way. Never give yourself the pleasure of thinking you actually "own" the creature...all you've done is essentially removed him from his place in the natural order of things, and been given charge of him. Keep that in mind...it is your duty now to duplicate to the best of your ability his would be normal life. Nothing more...and nothing less. You may be surprised to learn that some of the amphibians we like to keep as pets prefer evening temperatures in the 55° to 68 ° Fahrenheit range (some like it even cooler), and even many tropical species live in cool microhabitats. Most frogs enjoy a warmer daytime temperature, with a fair temperature decline in the evenings. Trying to duplicate this is important to your frogs' health and well-being. However, before subjecting your frogs to any temperature, find out more information about where the frog is native to and the temperatures there. Frogs can easily be killed by wrong temperatures or sharp changes. The Frog caresheets have temperature ranges acceptable to individual species. Check it out. As already mentioned; frogs breathe through their lungs, but also through their skins, much more than we do. Poor quality water in his tank would adversely affect him. If your setup is at its' simplest,( a dish of water with no filter & pump) you must, at the very least, change the water daily. Tap water is a huge no-no! The chemicals that are added by city water systems will kill the frog. A Chloramine remover breaks the chemical bonding of ammonia and chlorine that are added to your tap water at the City treatment center. They allow the chemicals added by the city to leave the water. These chemicals are not harmful to us, but can be deadly to frogs. Let the chloramine-treated water sit over night before using. If in a real hurry, you could let it set for an hour or so. In this case, it needs the addition of an excellent quality water conditioner . Without the water conditioner, adding the rush-job water can be risky with weaker animals. You can also place an airstone in the tank, which helps to aggetate the water and remove the chemicals quicker. For storage of treated water for later use, see the page Tadpole Care, Water Storage. That way you will always have some on hand. Lastly, you can use rain water you've collected. Make sure it is uncontaminated by collecting in clean, residue-free plastic bottles of the wide mouth variety. Set them in the middle of a rainy area. Never collect water from drainspouts or other metal surfaces. Rainwater should be tested for PH. I collect rainwater myself. Living in south Florida, after a PH test, 9 times out of 10 the PH is anywhere from 6.2 to 6.4. Too Low. Frogs in general prefer a slight alkaline water condition. Bring that number up to around 7.1. I correct the PH by either adding a pinch of new, unscented baking soda to a one gallon jug of rain water or when I have it a storebought PH correcting agent. Either will do the trick. Just make sure to re-test the treated water's PH before introducing it to the frogs. Too high of a PH can burn the frog, just as the lower, acid PH would have. What are those Letters I see next to Frog names? What are those acronymns you sometimes see listed next to Frog species? C.B. and W.C. come quickly to mind. They represent the frogs' birthplace. C.B. stands for Captive Bred, while W.C. stands for Wild Caught. Others, like J. stands for Juvenile, or recently morphed frog. Y. means Young. You may also see F. or M. These of course; stand for Female or Male. Unless you are already an experienced frog keeper, acquiring the C.B. frogs are your safest bet. These frogs were usually bred by the Breeder/Seller and most have parents that have already been treated for any outstanding disease and parasitical problems. Being raised in captivity allows for a controlled environment, a precursor for strong, healthy tadpoles and morphs. W.C.frogs are another story altogether. Froggers (as I like to call us) that have 'been around the block' a time or two are best left to deal with the special care these frogs will need in order to survive. Don't purchase these frogs if you're a 'Newbie' to frogs. You'll most likely end up disappointed, something a new Frogger should not have to deal with; nor the frog. As mentioned above, wild caughts most likely carry parasites, and they can dibilitate the frog(s) to the point of death with a beginner. Leave W.C.'s to the more experienced. J.s are a mixed bag. If the specie is a strong, easy type to keep; juveys can be okay for beginning Froggers. Just be sure that they are in good condition, as listed at the beginning of this topic. If you're not sure, go with an A. (Adult) frog. Frogs are generally far-sighted animals, focusing on things at a greater distance. Their vision becomes less intense as things move closer to them. They actually see with this vision quite well. Amphibians are quite unique in having specialized receptor cells, or green rods, in the retina; in addition to the three other receptor cells possessed by other vertebrates. Frogs also use their eyes to help push their food down into their throats. Next time you feed your frog, notice how he "blinks". Pushing his eyesockets down into his mouth forces the insect he just consumed to move out of his mouth and into throat. Frogs do not have an upper eyelid in the normal sense. It is actually part of their head, and immovable. The lower eyelid is movable. If a frog wants to blink like we do, he can only do it with the bottom eyelid. Watch him carefully, and you'll witness him doing this. Frogs and Toads also have a nictating membrane, or lens cover; as do toads, newts, salamanders and even reptiles. This is a protective, usually clear lens that the frog uses to cover his eyes when he is underwater or even sleeping. Frog skin is really cool ! A frogs' evolutionary status does create some unique requirements. Let's start out with his skin. Unlike a toad, a frogs' skin must never be allowed to dry out. I'm sure you've seen a frog that has escaped from his vivarium,(or been drug in by the cat) that now sports a skin dried, wrinkly and coated with hair and other nasties? If his skin (and scrapes) aren't treated immediately, a frog in one of the above scenarios would soon perish. Therefore, moisture is a must for the frogs' well-being. Up to 90% of a frog's oxygen needs are met by the passive transportation of oxygen through the skin and into his blood vessels, as opposed to him actually breathing oxygen in through his lungs. The little "warts & bumps" most visible on toads actually lead to granular glands underneath the frogs' skin. They secrete a variety of different alkaloids and peptides...substances that are noxious to the frog's enemies and therefore protect him from being eaten. Even though they are easier to see on toads, frogs poccess them too. Remember above how we mentioned frogs (as opposed to toads) should never be allowed to have their skin dry out? Well, Bombina toads are an example of a toad that enjoy watery habitats. Mother Nature always makes exceptions, so don't assume anything. 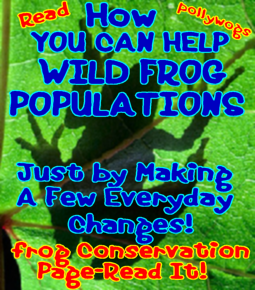 Read, talk to other herpers, and visit local Aquariums and Zoos to understand more about frogs before diving in and making a "pet" out of one. Frogs, toads, salamanders (and reptiles) all shed their skins. It is commonly thought that this is to allow the animal to grow larger. But recently Scientists studying frogs and toads have begun to wonder if it is not also to help them rid themselves of the everyday parasites and fungi that naturally invade their world. Anurans especially; have a less than productive immuniological system when compared to their bretheren, the salamanders and higher up; the reptiles. Although lymph glands are distributed throughout the frogs' body (as in humans and other vertebrates) the system does not seem to function with all of the complex chemicals found in higher vertebrates. It has recently come to thought then, that in order to make up for this evolutionary trait; frogs can daily shed their skins to remove environmental nasties that have been attracted to their moist skin. Complete skin sheds are also a sign of good health. Sometimes when one is treating a sick frog, the frog may have a hard time shedding after the treatment. This is especially true if a bath-style treatment was used. The frog may then refuse to shed/eat his skin. The frog who will not shed will soon die. To help your frog shed his skin should he need to after a treatment, use a salt-dip, and then a soft brush to help loosen it if he needs further help. 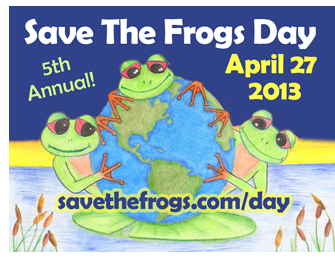 To learn how to do a salt-dip, go to the Rx page, Dipping your frogs. Most frogs shed in the very early morning hours, some tropicals just before dawn, so visually witnessing a shedding is unlikely except for those very vigil. If shedding is something you would like to see, the aquatic pipids shed at anytime and so can be observed frequently in this act. The skin usually begins to break free in a mucousy film at the front fingertips and the head and throat. From there, the frog begins to pull the skin forward, using his hind legs to rub his sides and back to break the outer dermis loose. Through constant wriggling, the frog will get the back and hind leg skin up over his head, devouring it as he goes. This aids him in pulling it forward. Once the skin is in the digestive system, the acids in his stomach are thought to kill most of the fungi and parasites the skin might have contained. Incomplete sheds are considered a warning sign that something may be wrong with the anuran. Using a magnifying glass, make a close inspection of the frogs' skin if this happens. If you notice anything unusual, refer to the Frog Rx Care page for some helpful tips. Their skin is delicate and because they breathe through it, anything you have on your hands will quickly get into his system. If you must handle the frog, wash your hands thoroughly in soapy water for at least 20 seconds, and rinse doubly good. Use cold treated water as your last rinse. This lowers your own natural temperature; which is higher than the frog's. The cold water will help in making the frog more comfy when you do handle him. Only then should you handle the frog. Why wash hands? You don't want that cigarette, insecticide from gardening or the grease from under the hood of your car getting on froggy! Wash them again when you are finished. Make this a habit. To learn more about properly handling your frogs, see the section on Your hands & Frogs. Even if I am only cleaning the vivarium, I actually never touch my frogs. I place a wettened paper towel in the palm of my hands before picking them up, so only it comes in contact with the frog. In this way, they have less fear of me, and they are not as stressed as they would be had I actually touched them. Find contentment in actually observing the animal in it's wild state. If the vivarium you have given it is in order with it's natural homeland, you will be able to enjoy watching it act as it would should it be in the wild. I return for this respect, your frog will become adapted to his new life, and allow you to see him more often. He will come out of his cave or tree hole when you feed him, and even let you watch him hunt down dinner. You will be allowed to watch him act as he would have had he still been on some forest floor. This is what true froggers strive for...to perfect the environment of the frog to a point that he becomes as happy as he can possibly be in a captive world. I have tried to keep this website cheerful in color, and youthful in language and appearance. It's purpose is to appeal to children as well as adults. My goal is to bring young people closer to understanding and caring for amphibians and their crucial role in our environment. Also to offer up substantial information to other people who are interested in learning more about our wonderful frogs and toads, and how to properly keep them in captivity. When I have reference material, you'll see this image: . 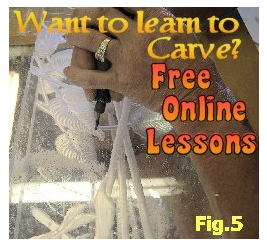 Any other reference materials can be found on the Search this Site page. The Lightbulb symbol can sometimes be found within the Page-body, with Ideas on how that particular subject it is listed with could be 'tweaked' by you. 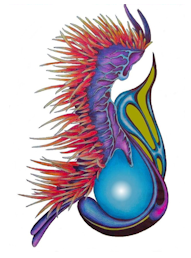 The Note pad symbol refers throughout this Web site as a link to a Care sheet and will be found near the Frogs, Insects or Plants' photo or other information given. The Microscope symbol will give you information on Research you can go further with on the Subject it is to be found with. The Question mark symbol can be found next to interesting information not always so well known. Some of the less known words whose terminology you're not sure of, can be moused-over for a quick and short definition. Try doing it to the next word: Anurans. Notice the font is in capital, and how your cursor changes to a question-mark. Words that need more defining will be underlined and darker green...they are clickable on-site links that usually lead to the Glossary. 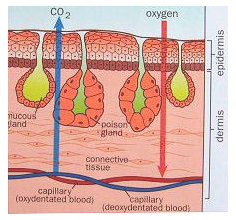 Example: aerobic. The link to the Glossary page is at the bottom of every page on this site. The Site Search Page is easy to use and stays On this Website. It is set up alphabetically. You just think of the word or term you want to learn more about, and then click on the appropriate letter of the alphabet your word starts with. If that information is on this Site, you will find a clickable link there.. The link to the Search site page is on the bottom of all pages on this site. You are more than welcome to use any of my photos I have posted on this website, as long as you don't crop my website name off of the photo or resize it. Placing a link with it back to my site is appreciated. If your site is commercial and you'd like to use a photo, e-mail me (very bottom of this page, right footer) about this. In most cases, I'll agree to commercial if your site is also informational, and you place a link with the photo back to my website. Please don't expose the photo on your website by linking it to my photo here; i.e: Please don't steal my bandwidth! My Webmaster changes the names frequently so it wouldn&apos;t show up for long anyway. I appreciate in advance your respect. After all, I am letting you use my pics! Other photos, meaning those not containing the website name, have been used by me with permission from another person or website whenever I can get it, and shouldn't be recopied. The cartoon style graphic frogs are free for the taking! I borrowed them myself, but have sadly lost the name of their creator. Permission was granted for free use. They have been turned into .PNG files, and all have transparent backgrounds. Use them as you wish. Same goes for the Frog Animations, some of which I made myself. It's the largest collection of frog animations I've found in one spot on the internet! Toads' skin isn't really 'dry'...it's just drier than a frogs. They have simply evolved into a type of amphibian that requires less humidity than frogs in order to survive. Like frogs, most will seek cool, humid places in order to rest and breed. Don't take too much while you're there, leave the environment as intact as possible. I have found, however, that bringing just a few small items from very near where I've caught the frog with me to his new home, helps him settle in better. What is 'C.B. ', 'W.C. ', etc? Frog skin is really cool!